Capital city of the eponymous state, Oaxaca relies heavily on its colonial charm, its core a maze of tree-shaded alleys flanked by photogenic mansions, government buildings, and old churches. The World Heritage-listed heart of the city features a simple grid layout, which makes sightseeing in Oaxaca a highly pleasurable walking experience. Visit the city's markets and bars, and you're likely to hear residents speaking Spanish, Zapotec, Mixtec, and several other indigenous dialects. This mix of cultures makes Oaxaca extremely appealing to visitors interested in discovering the "real" Mexico, a land of striking social contrasts and ethnic diversity. The surrounding mountain-fringed valleys hide numerous archaeological sites and unspoiled natural areas ideal for active Oaxaca vacations. Oaxaca is in Oaxaca. 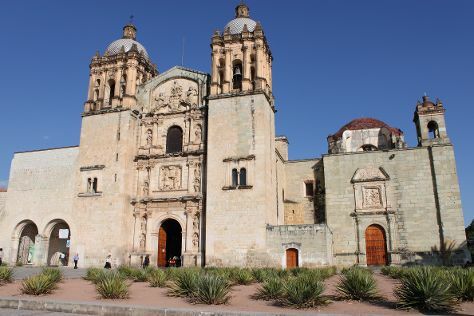 Use our international travel planner: Oaxaca and all its delights await.